Spring is finally springing around these parts, so I figured a fair-weather car was in order. The C4 Vette is one of the earliest Micro Machine castings, and it has the stibby proportions to show it. I’ve got several versions of this one, but how can you go wrong with a red Vette? You really can’t. 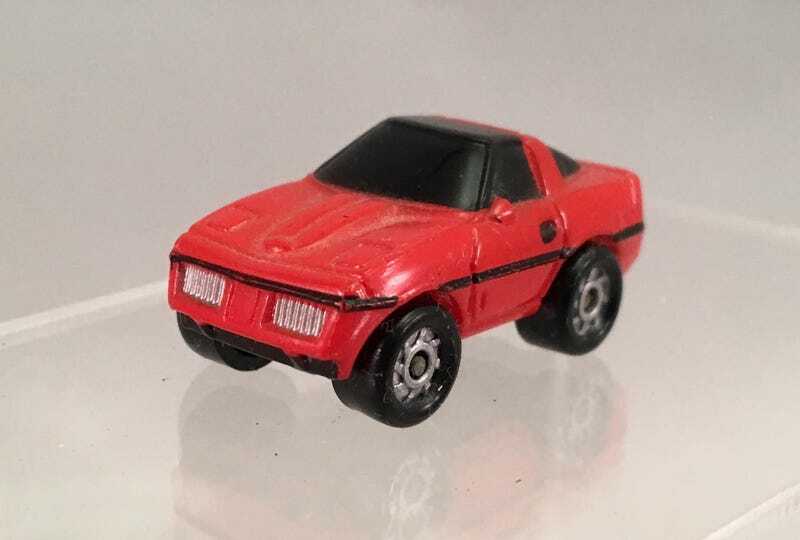 The wheels on this casting got used on a lot of vehicles they didn’t really “go” with, but they’re pretty perfect for this car.